There are two possible configurations for Apache Proxy Server and we will present installation and configuration of both types this how to. Forward Apache Proxy is a proxy configuration that is commonly used in companies and it enables users to access the internet. Users or clients must configure their browsers or operating system to use a proxy server (Forward Apache Proxy) to be able to access the internet. This means that requests from all clients go through this apache Forward Apache Proxy which then communicates with the destination servers, websites, … on the internet and responds back to the clients. Reverse Apache Proxy is a proxy configuration that works the other way around from the Forward Apache Proxy. The Reverse Apache Proxy configuration is used to enable users or clients from the internet, to access websites or applications on the company internal network, based on the reverse apache proxy rules that are configured. Reverse Apache Proxy provides internet clients access to servers behind a firewall. 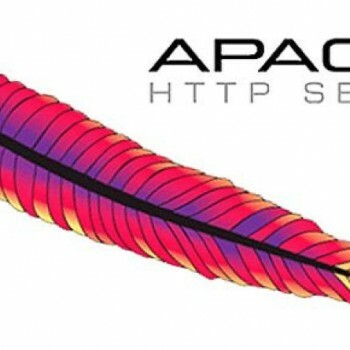 Firts we must install Apache (httpd) and mod_ssl package on our server. 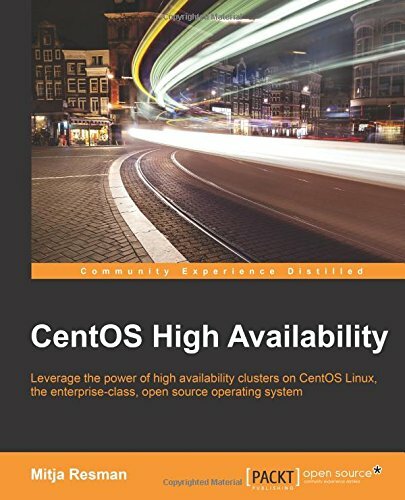 Please note that in CentOS 7 Apache 2.4.X is available (in CentOS 5 and 6 Apache 2.2.X). The “ProxyRequests” parameter and “ProxyVia” is needed to enable proxy on Apache. “ProxyTimeout” is optional, it just enables request to fail gracefully if the server does not respond in a reasobnale time. The “Require” parameters inside the “Proxy” directive are the client allowed settings. You can add a specific IP address (as in my case) or whole subnet (with mask like 192.168.1.0/255.255.255.0). The “Require local” allows localhost requests. You could also use “Require host hostname” directive. There are many more parameters available – this is just basic configuration – read more about additional parameters HERE. If you work in a big company (or in other situations) there is a possibility your proxy is not the “last in line” out to the open world. In this case you need to configure a second proxy. This is a proxy your proxy will forward requests to, to get to the internet. We can do this with “ProxyRemote” parameter. “ProxyRemote” parameters takes two two arguments, a scheme, partial URL or ‘*’ and a proxy server. Using wildcard ‘*’ will forward all requests to the second proxy. If you configured a second proxy it is probably a good idea to use a “NoProxy” parameter. “NoProxy” parameter specifies a list of subnets, IP addresses, hosts and/or domains, separated by spaces which are always served directly without forwarding to the “ProxyRemote” address. At this stage we must install Apache (httpd) and mod_ssl package on our server. Please note that in CentOS 7 Apache 2.4.X is available (in CentOS 5 and 6 Apache 2.2.X). “ProxyRequests” parameter does not need to be turned on when configuring reverse proxy so turning it off. Next two lines are passing all requests, hitting the reverse proxy server IP/hostname with /test1 URL to the machine with IP address 192.168.1.10, port 8080 and /test1 URL and the other way around. For the communication to work both ways we need to add both lines “ProxyPass” and “ProxyPassReverse“. Please note that proxy pass can point to a different server, different hostname or IP address. It is wise to configure some sort of time limit on how long to wait if there is no response from backend. We can do this by appending a “connectiontimeout” and “timeout” value at the end of “ProxyPass” line. The “connectiontimeout” is the time it takes to create the connection to the backend and “timeout” is the time proxy waits for response from backend. Using reverse proxy and accessing internal networks and applications via it, cause specific HTML links (internal links with absolute paths) to fail – not work, since they are redirecting to internal addresses. This is why we need to call for help another Apache module called “mod_proxy_html” which enables rewriting of HTML links and making them work. “mod_proxy_html” does not come by default with httpd installation in CentOS 7so we need to install it first and then copy the configuration file to the right location. The example HTML links configuration file is quite sufficient for ordinary situations and is located at “/usr/share/doc/httpd-X.X.X/” where X.X.X is your apache version number. ..to finish up we have to restart or reload apache and voila HTML links are working! hi. I have exchange server 2013. How can I publish it using apache reverse proxy? Are we supposed to customize these lines to our specific server? and if so, how? I know obviously the IP address needs to be changed. But my project is being deployed at 5000. So I should change 8080 to 5000, right? Mainly, I’m not sure what to do with the path: /test1? Do I just leave that even if my project doesn’t have that path? Or I guess I’m asking why is it there? Also, How do we check if it is working? So the destination ip will be of the proxy. Is there a way to configure this file without having to use the specific hostname or ip address of the webserver? I’m trying it with localhost but that doesn’t seemt to be working. I’d like a file that I can deploy to multiple web servers. I’m trying to have one reverse-proxy.conf file that can be deployed onto different web servers (in this case, different vagrant virtual boxes) – so I wanted to be able to put ‘localhost’ in the file instead of the server’s own IP address, if possible. Other places I’ve looked at make it seem like that should be okay but I’m getting a “503 Service Temporarily Unavailable” error – something wrong with my apache settings?